I've been seeing a lot of Book Spine Poetry lately. Rachel over at Beauty and the Bookshelf does Sunday Spinetry every so often. 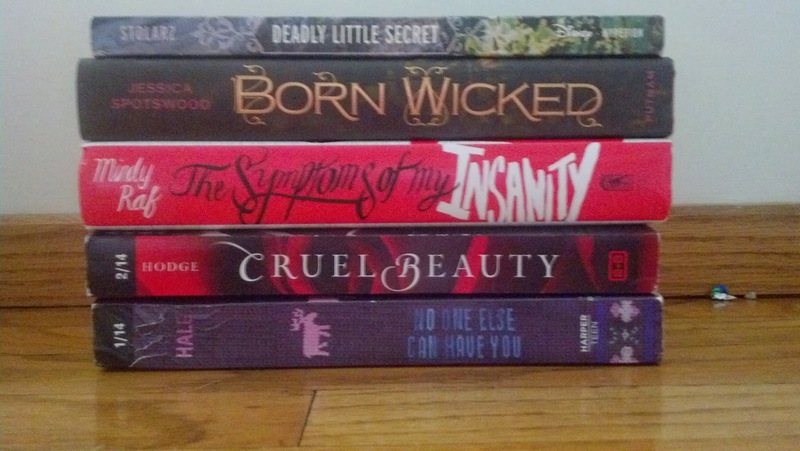 And Michelle at Book Briefs has a giveaway as part of the #TBRreadathon going on that has to do with book spine poetry. 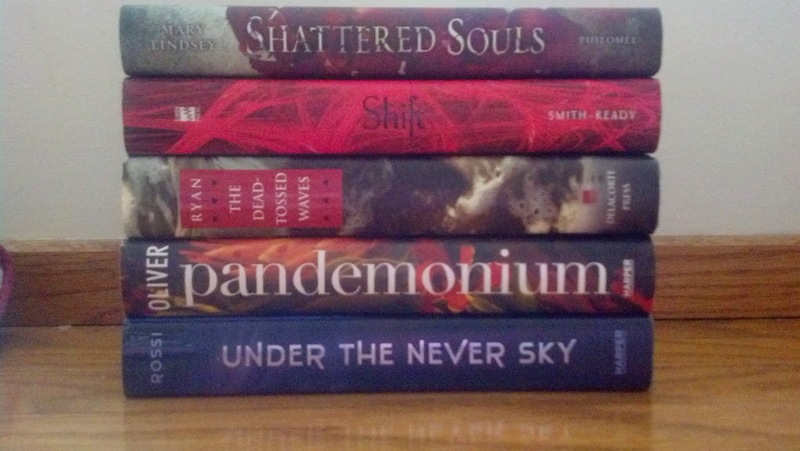 Okay, that's only two examples, but it made me want to discuss Book Spine Poetry and try my hand at it. Well...that was my first attempt. I realized it was a bit short so I tried again! This time with 5 books. Shattered souls shift the dead tossed waves. Ha! That was a bit better. Look, I even added an exclamation mark. That makes it look more like an actual poem. A Deadly little secret, born wicked. Oh! Cruel Beauty; No one else can have you. This time I took some creative license and added my own words to the poem to make it flow better. Ten white lines, every other day. This is my favorite poem. It uses the largest number of books, seven, but most of the titles are one word so the poem still feels short. While making these I noticed most book spine poems are short. Which makes me want to write one that is like 40 books long. Maybe next time! 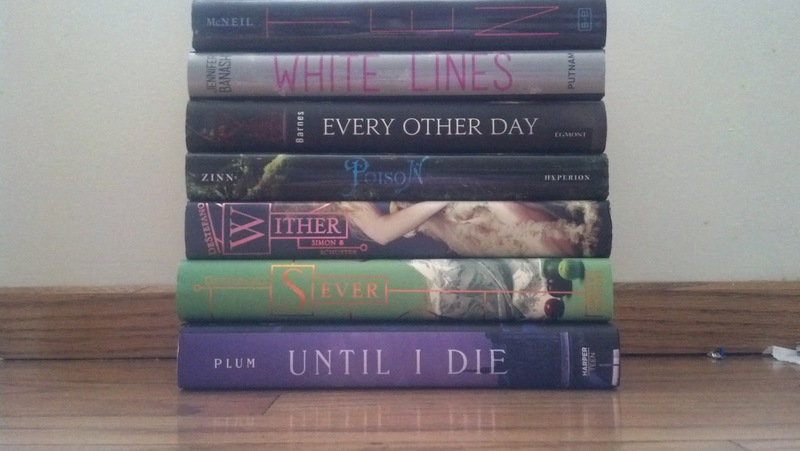 What is your opinion on book spine poetry? Do you love it, hate it, are you indifferent? Do you think it takes too much time and isn't worth doing as part of an entry in to a giveaway? I want to know. Tell me in the comments! Also, if you've ever posted about book spine poetry leave links to your poems. Spine poetry does not come naturally to me at all. whenever I try, I tend to be long winded, because I always just keep adding more and more books until the poem makes some kind of sense. It's not something that I can do all the time, because it takes me a while to figure out what books to use! But it is something fun to do sometimes. Great post and poems! My favorite it is your third poem. 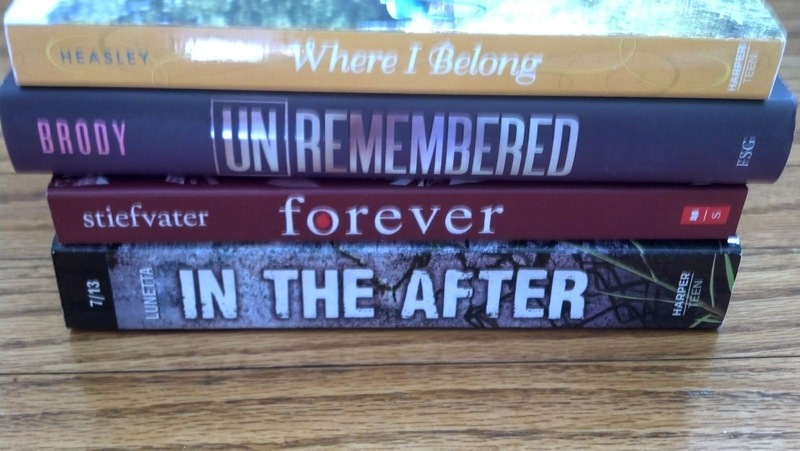 I love book spine poetry! I've done them a couple of times for memes and I always find it a really fun, interesting process. It's cool to see what I come up with in the end and I love seeing the direction other people go. I just realized all the ones I created were a little on the dark side. I'm going to try for funny next time! I definitely like the last entry. It's speaks of an addiction with white powder that consequently ends in death. Those are quite good! I've struggled with coming up with a decent sounding spine poetry. Sometimes I just throw random books together, other times I agonize over the decision lol. My favorite is the last one. Such a cool idea!